We offer 24/7/365 remote monitoring via our control room where our dedicated staff actively monitor and report on site security statuses. At Special Ops 99 our VIP Protection teams have been handpicked and chosen from the best operators in South Africa that have been assigned to multiple high risk and high-profile clients. Our security operators have gone through our incredibly strict selection process, including both hard and soft skill assessments. Our technical security team will ensure the correct solution is designed according to your requirements and budget. All technical installations and staff are correctly registered, qualified and attend refresher courses on a regular basis. At Special op 99 we have taken the initiative in providing that all relevant staff are trained with basic emergency procedures. Our staff will be able to assist in an emergency to act initially while awaiting full medical backup. 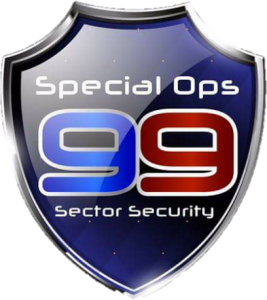 Special Ops 99 was established in 2004, when three security directors merged forces to create the ultimate recipe for security, medical and technical services. With a combined total of 80 years’ experience, the Directors have taken Special Ops 99 from strength to strength. Special Ops 99 aims to create a safer South Africa by providing world-class skills and services to specific sectors within the private and public space. Special Ops 99’s Vision is to grow, and adapt services into new sectors and geographies within South Africa, to uplift communities, create employment and grow skills. Special Ops 99 envisions growth through strategic decisions, sustainable business and strong relationships with primary and secondary stakeholders. Our first course of action in order to design the correct solution for the client is a site visit and assessment performed by unmarked personnel in unmarked vehicles. We primarily perform two assessments, one guided, one at night, unannounced. At Special Ops 99 we have a team of Private Investigators with a keen eye, excellent observation skills, and an analytical mind. Trained to use a number of surveillance and investigative techniques to gather accurate information on the subject or situation in question. At Special Ops 99 our VIP Protection teams have been handpicked and chosen from the best operators in South Africa that have been assigned to multiple high risk and high-profile clients. Please enquire for additional information. At Special Ops 99 we have taken the initiative in providing that all relevant staff are trained with basic emergency procedures. Our staff will be able to assist in an emergency to act initially while awaiting full medical backup. Special Ops 99 has a big social media presence, and we actively post on Facebook. Like us on Facebook to get the latest updates in your community. Special Ops 99 Security solutions begin with a comprehensive risk analysis by our specialized team who then compile a document setting out recommendations on safety and security requirements. The report then forms the basis for providing a customised security solution for the client incorporating the latest technology alongside a dedicated estates management and guarding team. We work with the estate, and community to create policies and procedures with the aim of creating safer communities. Special Ops 99 Retail & Shopping Centers Security provides comprehensive protection measures to ensure the safety and security of shoppers, shop owners, staff, and stock in order to ensure the center remains a venue of recreation, entertainment and good business. We understand the complexities of dealing with consumers on a daily basis and going the extra mile to ensure safe experiences for all stakeholders. Commercial environments have their own unique security demands. They require an up-market image; tenants have high expectations, and security personnel need to be able to understand how to deal with the demanding public. Special Ops 99 Security personnel are hand-picked and trained according to client specifications and requirements. When dealing with remote areas, large compliments of staff as well as equipment and stock, special solutions including technology and skills are required and offered by Special Ops 99. Special Ops 99 provides safe environments for all stakeholders including, learners, visitors, parents and faculties for our clients. We provide our clients with safety seminars, training, dug sweeps, and Ambulance services on request. Our education portfolio includes nursery, Junior and High Schools. Colleges, universities campuses are also included in our portfolio. We understand the challenges and complexities with dealing with security in sensitive environments such as schools and have cautiously designed state of the art policies, procedures and training for our staff. We have also created a blend of technologies and systems to be used to deliver superior services discreetly in the education sector. Special Ops 99 has experience and clients across the various spectrum of Healthcare. From retirement villages to hospitals and clinics, we deliver specialized services to suit this niche perfectly. Staff involved in this sector are trained in First Aid, firefighting, evacuation, PR skills and rapid reaction. Observation security, especially through offsite monitoring is a critical element in this space to ensure all patrons are safe and secure at all times. Do you need help with technical installation or maintenance? Fill out this form to get in touch.